Just a few months ago, Spain was like much of the Western world: quietly struggling with the economic crisis and the social cuts government took to deal with it. But then something changed. The citizenry lost their confidence in labor unions and political parties and decided to take matters into their own hands. The first steps toward the massive uprising of May 15 were taken in February, when a bunch of activists and bloggers created a Facebook group to coordinate the various elements of society. “When we were just a few, the idea of a massive mobilization was proposed, which would bring together the many disparate groups and people,” said Klaudia Álvarez, one of the Facebook group’s original participants. “Everybody liked the idea and so we started working on that as the first collective action.” She is now a communications coordinator for the national grassroots campaign Democracia Real Ya (DRY). There is no single organization behind the campaign, but rather, as Álvarez noted, “angry individuals who felt the need to do something about the current situation and who found each other on the Internet and decided to start working together.” They were bloggers and activists, like Violeta, administrator of the blog We Have the Right to Work; members of the National Association of Unemployed People; members of the Campaign for People Affected by Their Mortgage; or people from the hacktivist group Anonymous. They were from all around Spain and communicated through social networks without having much previous knowledge of nonviolent social movements. “Almost all of us were beginners in these matters and the little training we had came from different manuals about peaceful resistance and the rights of demonstrators that we looked up on the Internet,” Álvarez explained. 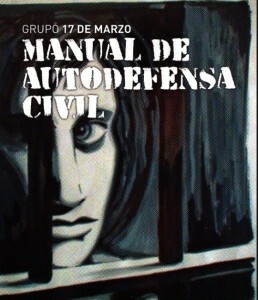 She cited a publication called Civil Defense Manual by Grupo 17 de Marzo—an activist lawyer collective—as particularly influential. A month after launching the Facebook group, the campaign pinpointed May 15 as the date of the first demonstration and adopted the slogan that became its name: “Real Democracy Now.” Next came the website democraciarealya.es, followed a few days later by the first news coverage of the campaign by Kaos en la Red, an alternative Spanish media site. From that day forward, the campaign became an online presence, inviting all interested people to participate, and, each day, new organizations and individuals lent their support. The only ones excluded were labor unions and political parties, which, until then, hadn’t paid any attention to what was brewing. In the two months leading up to May 15, DRY focused on creating posters, videos, and sharing information about the campaign and the upcoming demonstration, as well as creating a series of proposals to improve the social and political situation of the country. There was much work to be done and people were actually showing up to do it. Journalists, lawyers, designers, and computer technicians created local groups that worked through assemblies to make decisions that were carried by delegates back to the original organizers. In this way, among thousands of people in more than 50 cities, the proposals of the campaign were agreed upon democratically. May 15 came and the success of the demonstration exceeded all expectations. Tens of thousands of people came out into the streets in more than fifty cities, far more than the general strike convened by the two major labor unions last September, and comparable only to the number of people who celebrated Spain’s victory in World Cup soccer. In Madrid, where 25,000 demonstrators were counted, the march ended with 24 people arrested, who were beaten and insulted by police officers. But that only emboldened the campaign and stirred the country to its cause. 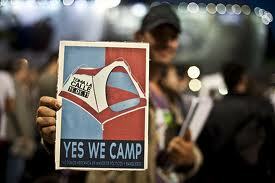 Soon, a camp was set up in Madrid’s Plaza del Sol square. That first night there were some 30 or 40 people and in just a few hours they were able to create a manifesto, a website, and some working committees to address matters of infrastructure, information, and communication. The next day, at 8 in the morning, they held their first assembly. The media started going to Sol to see what was happening and they saw that people had joined the campsites and brought furniture, as well as computers and an awning. Twelve hours later, nearly 2,500 people attended the second assembly. In this assembly, people also decided about such subjects as the organization of the campsites and how to present this new campaign to the media. Communications professionals explained to the people how to act in front of the cameras. That night, police evicted the campers from Sol square, pushing the members to Callao Square, where they forced them to leave in groups of five and threatened them with sanctions. Sol was empty, but by the next afternoon there were 30,000 people in the square. And the next day, people in Barcelona, Valencia, Sevilla and many other cities joined the initiative. In other smaller cities, people from DRY formed campsites. Each one was created individually and organized by their own committees and assemblies. As the movement multiplied, it began to spread to several cities in Europe, like London, Amsterdam and Milan, where Spaniards went to protest in front of embassies and consulates. 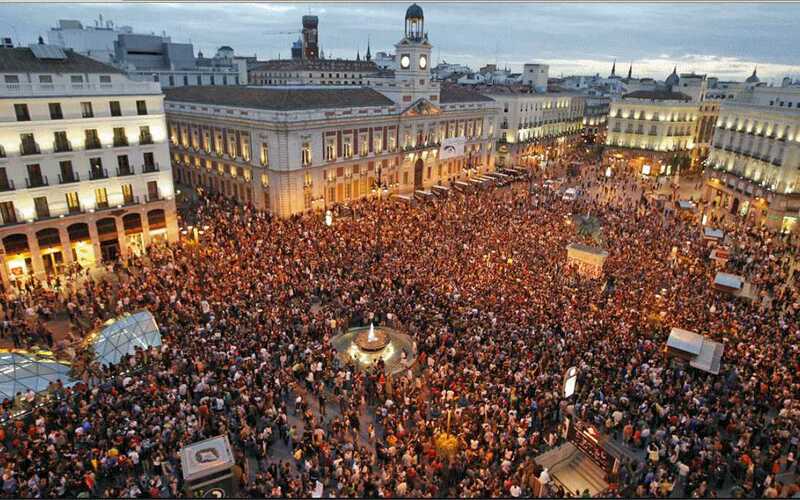 Because of these other European protests, the name “Spanish Revolution” was born and became known around the world. In Spain, however, DRY was facing an increasingly difficult task of trying to coordinate hundreds of people who had joined faster than could be assimilated. There were more than 600 organizers representing several thousand people. 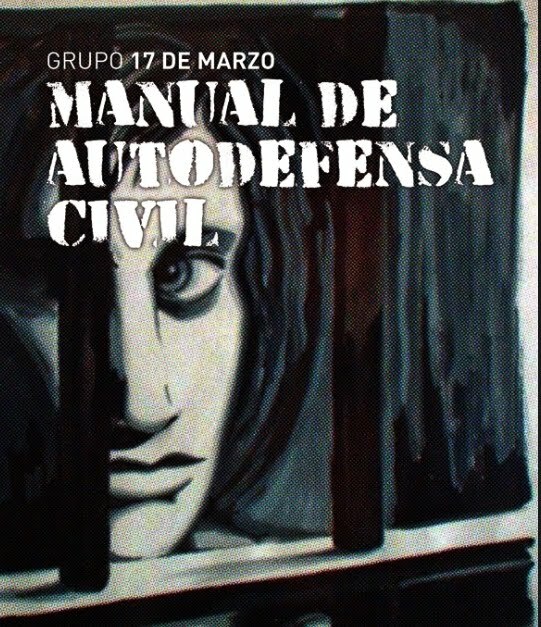 In order to resolve this issue, DRY held its first national assembly on May 28 in Patio Maravillas—an autonomously governed social center in Madrid. The outcome was the creation of several groups at both the local and national levels that spearheaded general coordination, local support, the welcoming of new members, communication, design, international outreach, hacktivism, and discussions about how to move forward. As it plans its future, DRY has gained support and advice from other well-established Spanish organizations that help give form to the proposals—especially in the case of the electoral law reform, which is one of DRY’s main demands. As for the camping campaign, it held a national meeting on June 5 with delegates of 56 cities, where they decided on some collective actions—most recently, the demonstrations in front of the Congress and Parliament of Valencia, where several people were arrested. Some of the people in campsites, like the ones in Madrid and Barcelona, decided to leave the squares and work in the neighborhoods instead. “It’s a decision that was made in the second week of the camping movement,” explained Juan Cobo. “The problem is that it took a lot of energy to organize the camping and to reply to the fake news in some of the media.” While the work and the spirit of the camp-outs in Madrid has moved to the neighborhoods, there is still a general assembly each Sunday, at 8 pm in Sol Square. “They know that we can go back to Sol whenever we want,” said Cobo. The DRY and #acampadasol campaigns—collectively the 15M movement—have organized several recent demonstrations. On June 11, they protested the inauguration of recently elected municipal officials in front of town halls across the country. A few days later, on June 15, they camped outside the Catalan Parliament in Barcelona in the hundreds to protest the regional budget that had just been approved. Members of Parliament, as well its president, were forced to enter via helicopter. An even bigger demonstration is planned for Sunday, June 19 to protest a series of economic measures in the European Union known as a “pact for the euro” that will bring more cuts in social and labor rights. Organizers are expecting demonstrations in 120 cities across Europe. Only 58 will be in Spain. Although nothing politically has yet changed as a result of the 15M movement, its expansion outside of Spain is a sign of its power and government seems to fear that this next demonstration could be big enough to provoke real changes. With civil society now taking matters into their own hands, anything is possible. Special thanks to Mary Ann Farrell and James Farrell for English translation. For this kind of movement to succeed throughout Europe, it’s important that it not be turned into an ideological crusade against capitalism or “neoliberalism”, for a simple pragmatic reason: Changing the dominant system cannot be done overnight, and alleviating the real economic distress of people whose jobs and homes have been made into financial commodities can’t wait for the entire system to be changed. Those who join protests want and deserve action in a reasonable period of time. What is most hopeful about this movement is that disparate, ordinary people are climbing out of the docile “constituencies” to which established political parties reduce them and have begun to speak with one voice. That unity, along with their nonviolence and their willingness to withdraw their consent from unjust distribution of the cost of reducing public debts, will develop a new source of political power that has a chance to produce more fundamental reforms. The financial markets want business as usual for themselves, and let the devil take the hindmost when it comes to wage-earners and pensioners. Once it is clear that governments will fall so long as justice isn’t done for those whose labor is the foundation of societies, new governments will curb the markets and find fairer ways to reduce the state’s debts. Dear Misnamed, Not confronting the problem, and by its name, isn’t pragmatic, It’s counterproductive.. You may not agree, but your eponym certainly did. (1) Who lost her crown because she refused to come in to the King’s guests? (2) She was bribed with money to betray her lover ?? (3) Her first child was born after she was 90 years old. (4) She was thrown out a window, trampled uinderfoot, and eaten by dogs. (5) She was Timothy’s grandmother. (6) She was the reward for 14 year of labor. (7) Her bath on a roof had an unusual ending. (8) She told her daughter to ask for John the Baptist’s head. (9) She was a Jewess, the wife of Felix. (10) She left home and family for love of a mother-in-law. GOOD LUCK to all of you ! !